The two-seater roadster also had a detachable hard-top and tubular chassis with glass-reinforced polyester body. 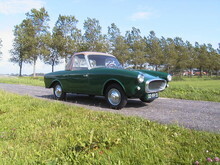 It was powered by a two-cylinder BMW engine. 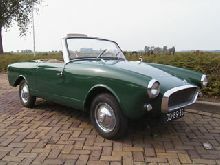 The drivers managed speeds of 84 mph (135 km/hour) on the straight and everybody was enthusiastic but the car never went into production because the price of 7,450 Dutch guilders (about £2,500) was not attractive in 1958 when a Volkswagen convertible could be bought for 4,525 Dutch guilders (a little over £1,500).